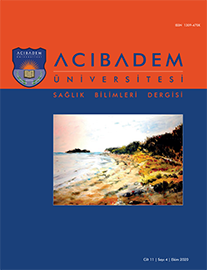 Ege Üniversitesi Ödemiş Sağlık Yüksekokulu, Hemşirelik, İzmir, Türkiye The holistic health approach is based on the principle of the individual being a whole physically, mentally, socially and spiritually. Based on this, the individual's spiritual state as well as his physical, emotional and social health should be evaluated for him to continue to be healthy. Spirituality is the overcoming of the self, the integration of the things the individual holds dear to himself such as his values, his life, and his existence. The opposite of hopelessness is an active and positive way of coping with problems which is instrumental in gaining inner peace. Many researchers view spirituality as an integral part of being human. It would provide a conceptual structure for the feelings that arise during situations that result in illness and death, shaping the individual's reaction positively. Spirituality is an essential component of nuring care. Spiritual care offers coping strategies and supports quality of life of the individual during times of imbalance between mind, body and spirit due to illness, stress and death. It is very important that this spiritual aspect of nursing is considered and brought to nurses' attention. Spiritual care is an important supplement to nursing care. Nurses should get to know their patients' spiritual beliefs and practices, offering individualized spiritual care.